Tonight Chris and I ran through a couple games of Tomorrow's War. The last game was an armour and infantry assault through a small village populated by some militia and a few vehicles in support. I'm not really sold on the rules. The rulebook is not that great as things tend to be scattered all over the book. I'd like to give Stargrunt 2 a run-through to see if I like that better. Due to work being extremely busy these past few weeks, I haven't been able to get much in the way of painting done. 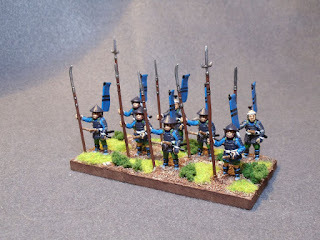 Regardless, tonight I finished a couple more bases for my Impetus Samurai army. These figs are all from Kingston Miniatures. 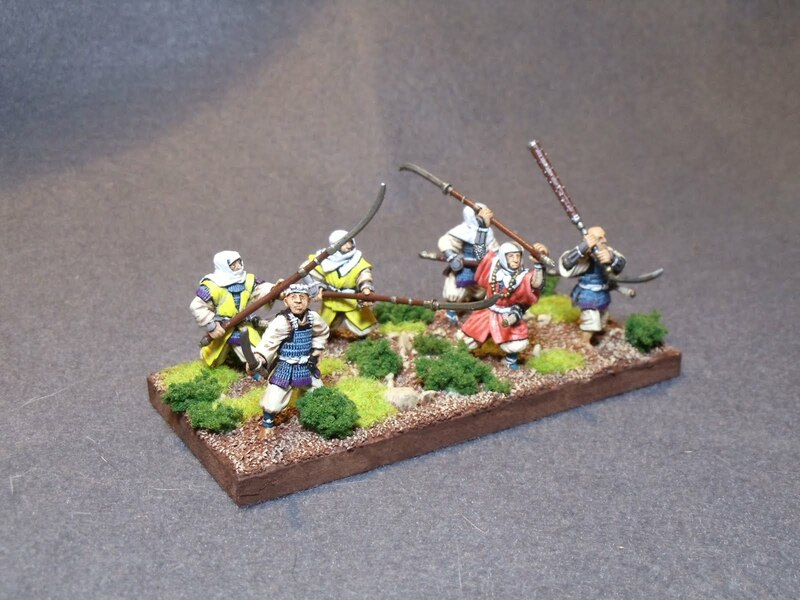 First up is my third base of Ashigaru with yari. Also completed is a base of sohei (warrior monks) that I'll use as heavy infantry. I really liked painting these figs. 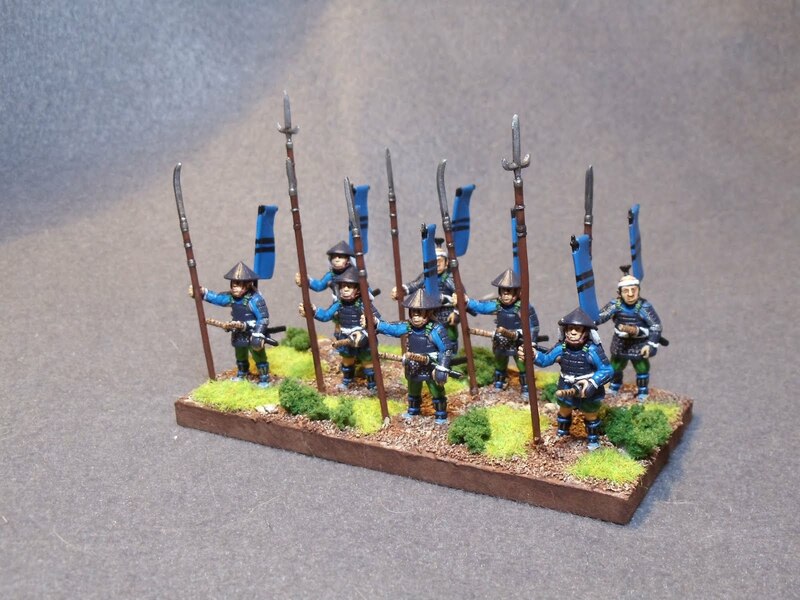 Next up is a couple bases of Teppo (Ashigaru with arquebus). Hopefully I can get them done before the end of the month.